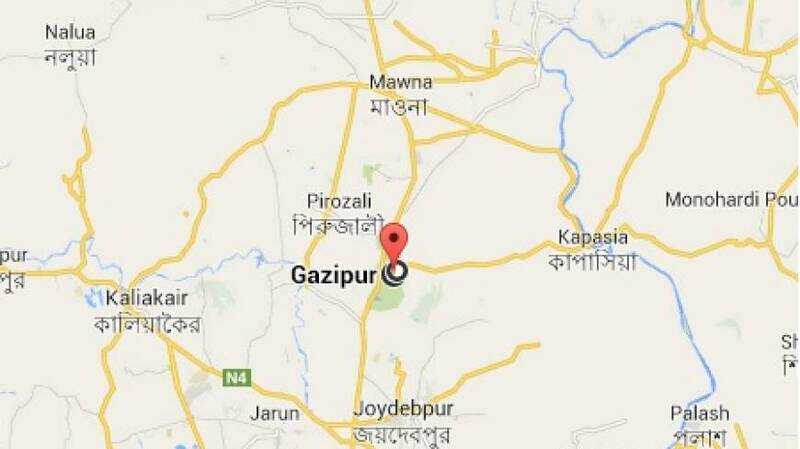 At least four people have been killed and two others injured in two separate road accidents at MC Bazar in Sreepur upazila and Tongi of Gazipur. Among the deceased, three were identified as Abdul Halim and Jamal Uddin, poultry traders and Mofiz Uddin, a sales representative of Akij group. In Sreepur, the accident took place around 7:00am on Wednesday when a pickup van overturned on the highway as its driver lost control over the steering, leaving the three people dead on spot and two others injured, said Delwar Hossain, officer-in-charge of Mawna Highway Police Station. The injured were admitted to a local clinic, the OC added. In Tongi, an 'Anabil Paribahan' bus hits Mofiz while he was crossing the road at Tongi around 8:00am on Wednesday, leaving him dead on the spot, said Firoz Talukdar, officer-in-charge of Tongi Model Police Station.